The key to mountain driving is to properly apply your brakes. Braking early is not only a safer method, but it keeps your brakes in working order, decreasing maintenance costs. Additionally, it's also helpful to pulse your brakes to give them time to cool off. You can also shift to a lower gear; this way, you won't wear down your brakes as you travel downhill. Make sure your vehicle has a full tank of gas before hitting the road. When your car climbs up hills, it requires more fuel. Plus, it's more difficult to pinpoint a gas station in mountainous areas. If you're lucky, you may find a station, but you'll end up paying more at a pump in the mountains than you would in town. Keep an eye on your car's temperature gauge, as too much heat will ruin your engine. If you suspect your engine is overheating, turn off the air and roll down your windows. However, to save yourself the trouble, your best bet is to take your car into a shop. They can assess whether or not you need your coolant replaced. One of the biggest mountain driving safety tips we can give you is to continuously scan the road ahead. It's difficult to see around bends, so slow your speed and keep on the lookout for warning signs. It's also important to be aware of possible bicyclists and wildlife that also travel on mountain roads--especially at night. 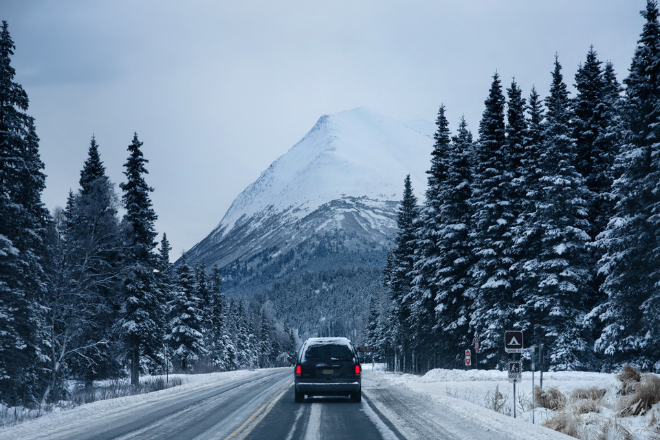 Before traveling on mountain roads, have your vehicle inspected by a professional. Ensure that they check your battery, change your oil, clean your fuel injectors, and perform all other crucial services. We also recommend double-checking your windshield wiper fluid which you can easily top off at home. As much as you're tempted to consult your phone for directions, it likely won't receive service in the mountains. To make sure you have accurate directions ahead of time, plan your route on a paper map before you venture out into the wilderness.